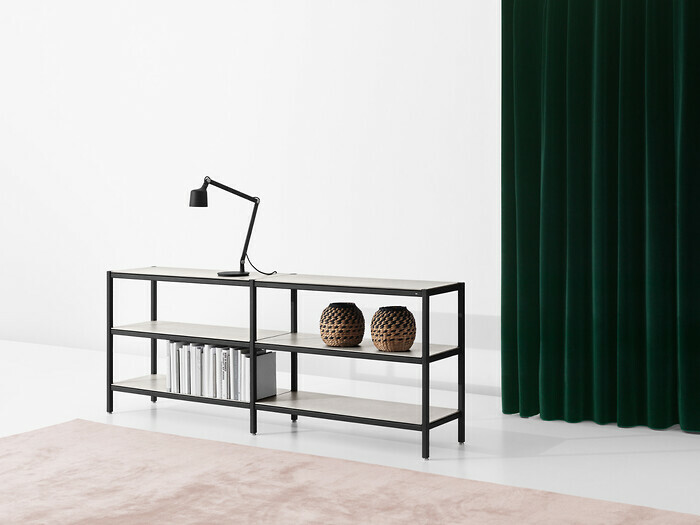 The new piece of furniture from Vipp combines powder-coated steel, industrially tooled and refined by Vipp, with the light tactility of fine ceramic stoneware. The result is a modular embodiment of the classic, functional Vipp aesthetic. The engineered process behind the Vipp rack demonstrates a legacy of allowing functionality and meticulous details to shape the aesthetics of a product. 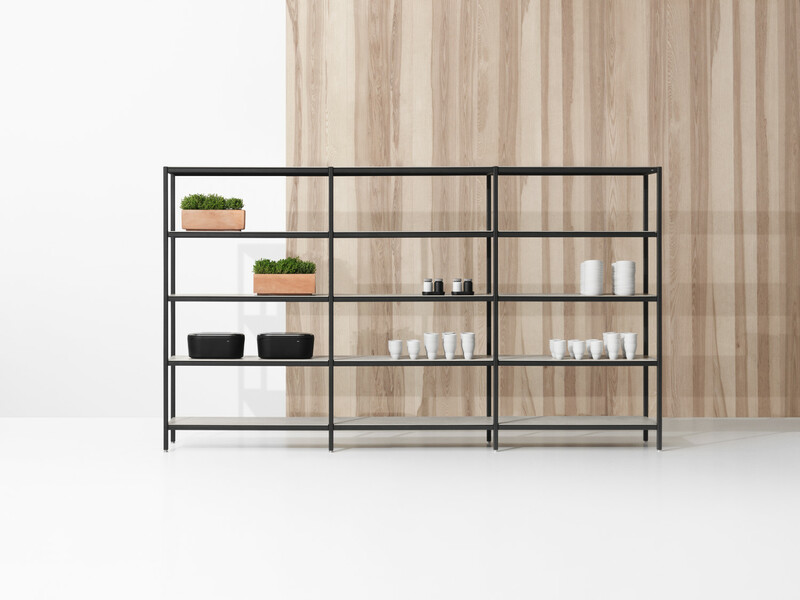 The delicate stoneware shelves are given a seamless, floating expression next to the steel frame. Rounded corners matching the design language of the rest of the Vipp product family add a layer of semi-organic softness to the rack’s industrial appearance. - The rack is a refined retake on the classic industrial rack that you find in many hobby and storage rooms. 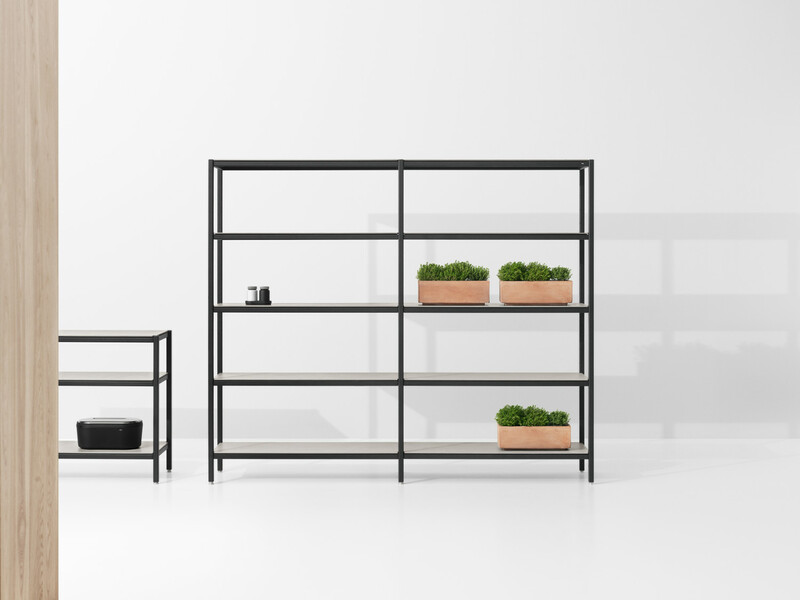 We wanted a tall rack for a lighter storage opportunity in the kitchen, and a lower version for use in various living spaces around the home, says Morten Bo Jensen, Chief Designer at Vipp. The new rack is available in four configurations, mimicking the building block approach of the Vipp kitchen.